A new year brings fresh focus and intentionality. As we dream, plan, and set goals, many of us create lists. But what if you stopped at just one item? We can find incredible clarity and power in simplicity, so as a community we’re trying something new: choosing one Bible verse as our personal focus for 2014. Find Your #Verse2014. A promise to reflect on. A different way of thinking. A new discipline. Through prayer and reflection, choose one verse that captures what you’re seeking in 2014. Make Your Verse Visible. 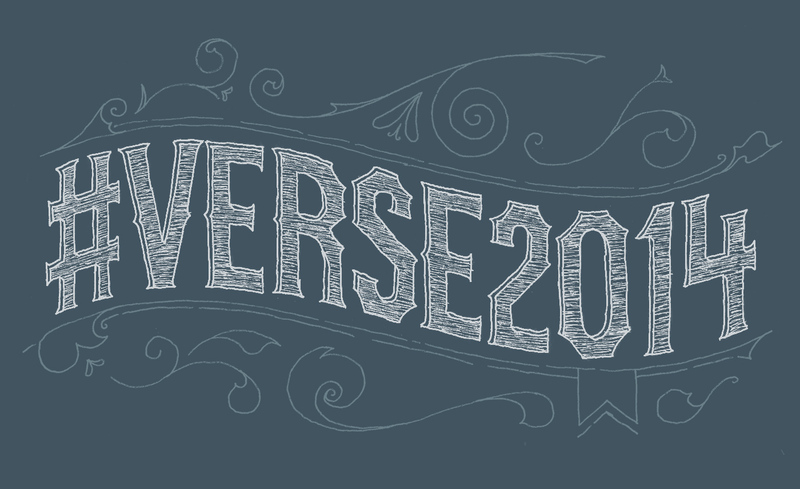 Display your #Verse2014 where you’ll see it every day: a bathroom mirror, in your car, your laptop’s desktop background—even on your phone’s home screen. Share Your #Verse2014. Tell your family and friends about your verse and why you chose it. Share it from the Bible App, or via email or text. Post it on Twitter, Facebook, and Instagram. And use the hashtag #Verse2014, so others can see it, too. Spend Time in Many Verses. Your #Verse2014 is a focal point for the year, but the vastness of God’s love can’t be boiled down to a single verse. Instead, use it as a springboard to dig deeper into the Bible and your faith as you continue to pursue God’s Word throughout the year. Need some inspiration for your verse? See the YouVersion Community’s 2013 verse of the year along with other popular passages in this infographic. The following Bible Plans have helped hundreds of thousands remain connected to God’s Word. Try signing up for just one to start. Then, roll into another one as soon as you’re finished to keep your daily habit going. In addition to these, YouVersion has recently added many new Bible Plans—so many, in fact, that we now offer more than 600! From topical studies to whole-Bible Plans, you’ll find plenty of options that will help you connect daily with God’s Word in the new year. Get started at bible.com/reading-plans.